Words. Strung together. At once leaning hard like tee-pees, and yet tugged along like a red Radio Flyer wagon. I had one once. It was all steel and it meant business about hauling. 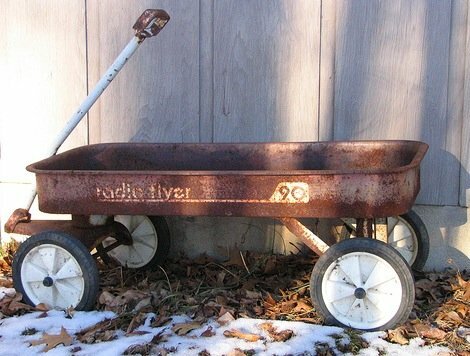 My world of Make-Believe found its boundaries with the natural realm to the extent that a singular, weathered wagon was my prairie schooner. It was my station wagon. It was my mobile home in the wooded Northern country. Words fly. As if tucked into that red wagon, careening down a hill. Leaning left and then right. And then the axle turns and locks. It’s a beautiful thing to be dumped from your prairie schooner. In that moment, a Tomboy Pretend Mama, Let’s-play-like-we’re-Family-You-be-the-Dad-I’ll-be-the-Mom-an-let’s-have-more-kids-this-time. You’re alive. As sure as the Sumac smacked your cheek, you are fully alive. All the rocks you’ve collected. Ebenezers, you thought. The wheat you’ve harvested from Boaz’ field, strewn about the ground like so many sheaves of wild oats sown under the scandalous Summer sun. And so you begin again. Collecting the baby dolls you’ve trundled and toted, now face down in the dirt. Blink. Blink. Their eyes unable to free themselves of their tears from toppling. And all you ever wanted was one of your own. Blink. You smish the smashed peanut butter and grape jelly sandwich. Why you keep choosing grape jelly for your sandwich you commence to spend a lifetime wondering. There are the words to collect. Once tucked tightly in the wagon, now tumbled about. Retrieving each one. Sown in kindness and love. Yet landed on the rocks among the other heart-shaped minutiae, trampled and un-treasured. With every prairie schooner spillage we become wiser about what we take with us. The long stretch of the journey ahead requires a peanut butter-only sandwich, to be sure. But there might be some Oreos in the back part of the cupboard. It’s time to go check. This entry was posted in Musings and tagged grape jelly, healing, make-believe, Radio Flyer, Red, wagons, words. 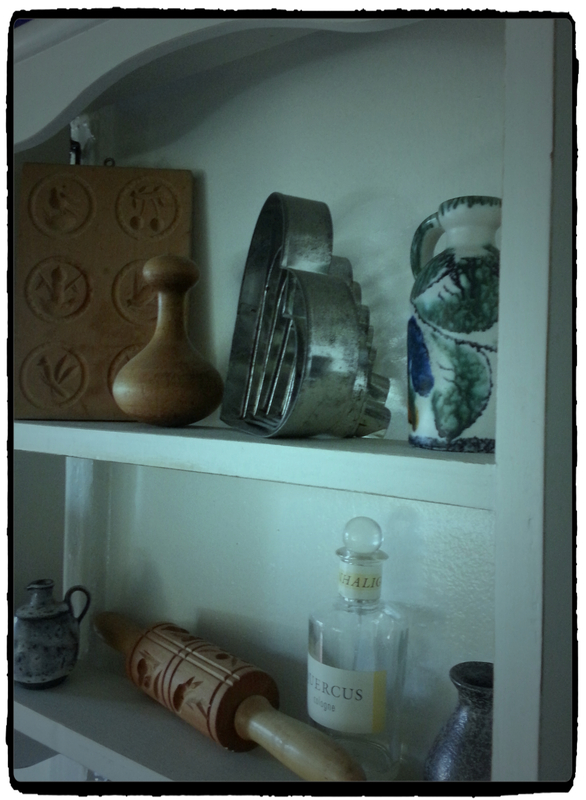 Many of the tools in my life’s toolkit are gleaned from my childhood in the rural, Northern countryside where I grew up. The woods were a wonderful playground but they are also rich with metaphors for life, that I draw on continually. There was a magnificent trout stream that bordered our property. The creek ran dry in the hot summers and would overflow the roads in Springtime. It boasted enormous steel culverts in two different places where the water crossed the roads. The metal tunnels allowed for the free-flow of water when the creek ran high. In many cases the creek would swell to several feet deep, and threaten to wash out the road during flood seasons. The water flows fierce and cold in Michigan. And yet there is a profound beauty, even an explosion of delight when Springtime edges its way North. It’s difficult to aptly describe how well our family knew the creek and those woods, and the way in which they were our home as much as our house was. The trees were friends. Maple leaves rustling in the Fall. Deep snow crunching beneath our feet. The symphony of starlight that ushered many a midnight walk through woods. These were the background music we learned to love. After I’d moved to the southeastern states, there was one season in particular when I’d lost my way, emotionally, spiritually. The path was dark, and my emotions were raw. My was heart ransacked. As a girl who had grown up knowing True North instinctively, I’d lost my bearings. In that season the Lord reminded me of being at the creek, of walking through the culvert. Every ridge and root. The rock formations that had shifted from winter’s enormous beds of ice. The trees that leaned over the water. New Adder Tongue and Jack in the Pulpit poking their way up through the frozen earth. The pungent earth yawning it’s solidarity with the trees. Yet my heart was reminded of the way the sun glinted against the shards of ice. There was a mountain of ice and the blazing sun creating a cacophony of brightness. The silence in my heart thrummed with nature’s symphony once again. I could feel the dormant winter earth longing for Springtime, just as my heart ached to be whole again. When Springtime comes at the culvert the energy and direction are unspoken and vivid. Before long, the water would rush through and fiercely demand passage out into the fields and the creek bed would press it’s way into the mighty Black. Fierce and full and without reserve. The pain of growth and transformation are memories left with Winter’s crunching snow beneath the icy moon. I would find my traction, and True North would expose itself to my spirit again. Your Springtime will come again. But for now, take a deep breath. Rest well, my friend. Unravel panic and trauma, and Winter’s yawning ways. As you rest, the warmth of sunshine will melt the shards of ice that have clung to your soul, and you will laugh again. You are worthy. You are loved. This entry was posted in Musings and tagged creek, fields, healing, Michigan, Northern Michigan, river, Springtime, streams, Water, Winter.